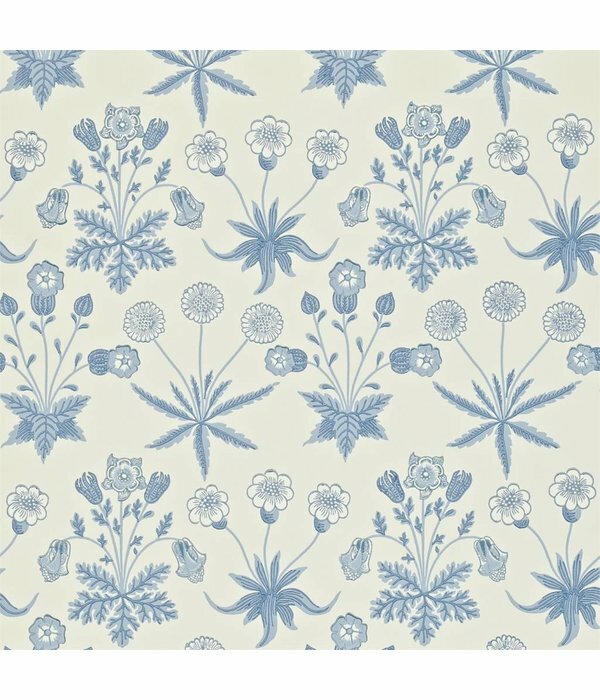 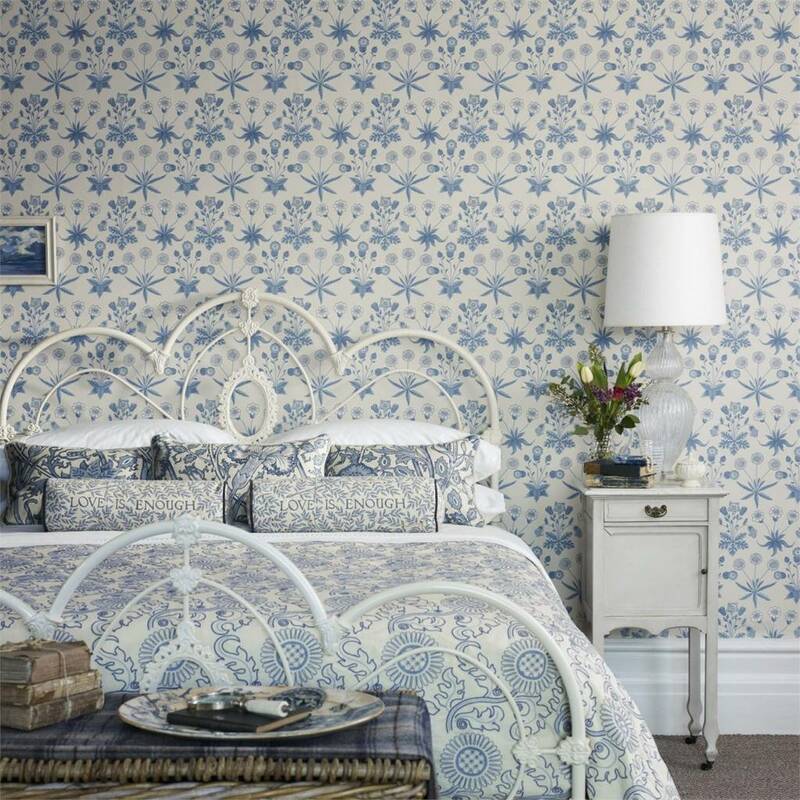 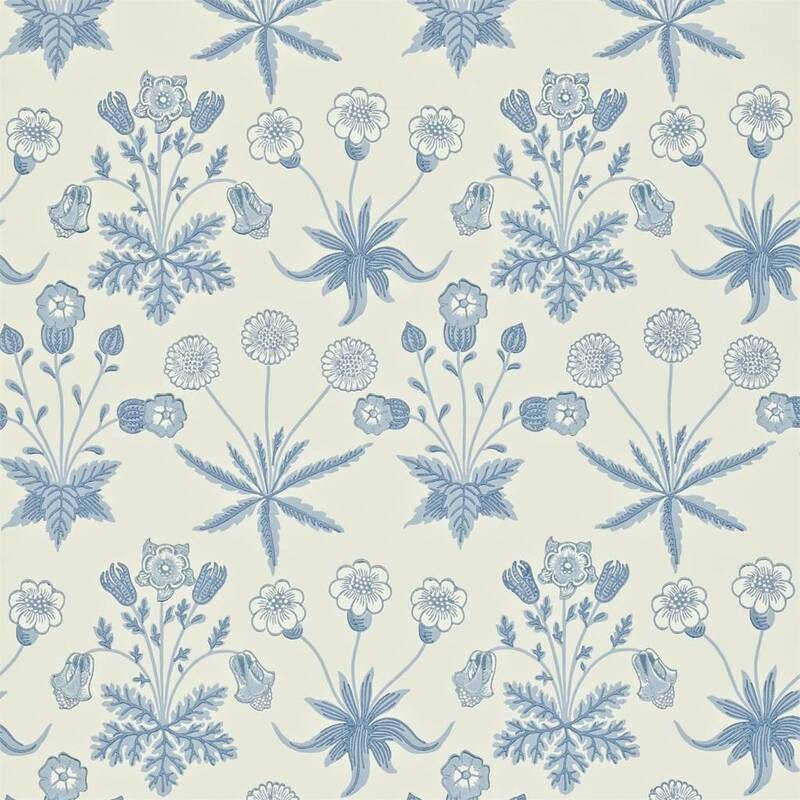 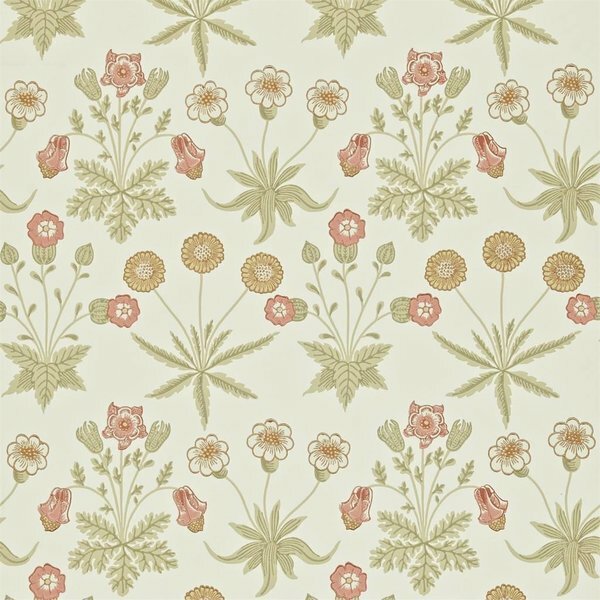 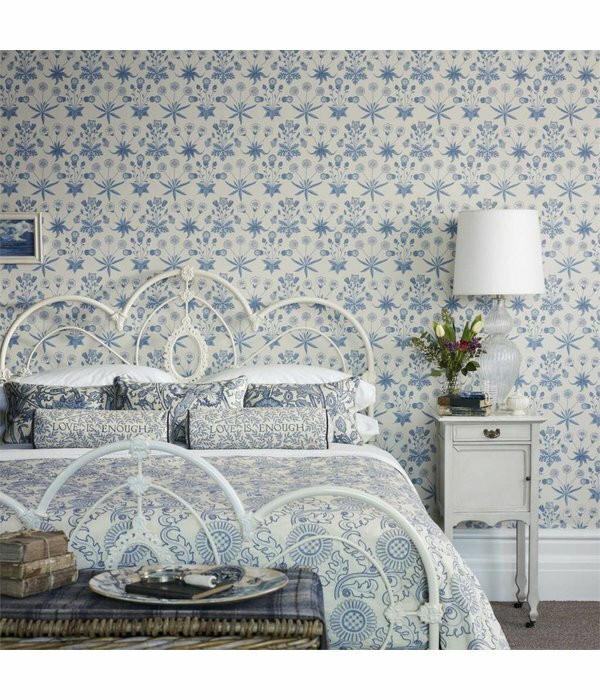 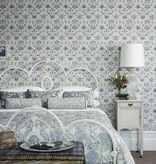 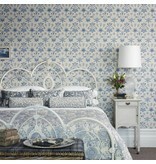 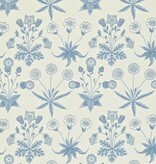 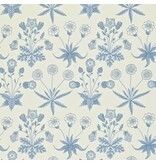 Daisy was the first wallpaper to be produced by|Morris & Co.. 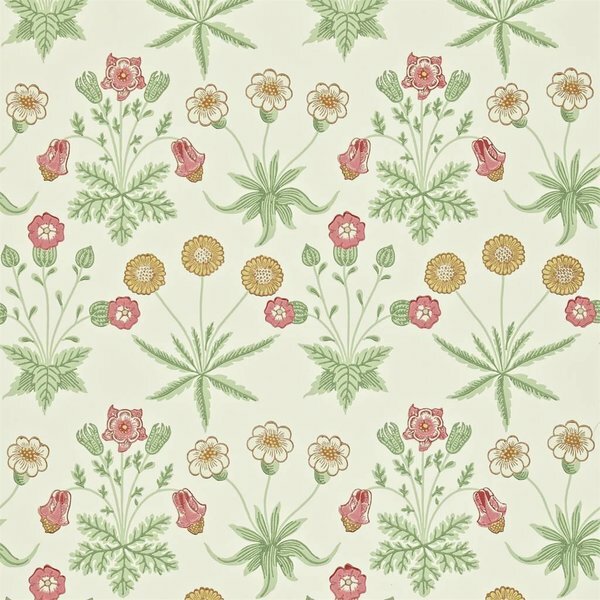 Inspired by medieval illustrations|Morris designed Daisy after embroidering daisy|motifs on wallhangings for his home Red|House. 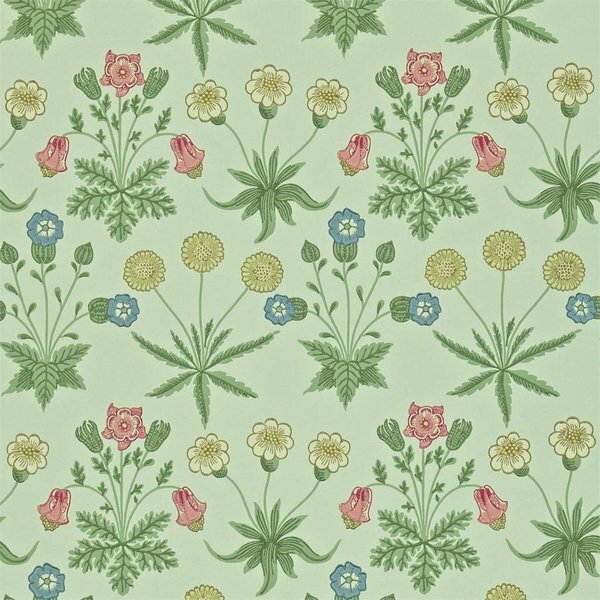 This version retains the naively drawn|daisies and ranunculuses of the wallpaper but|has been simplified by the removal|of background tufts of grass and is available in|two original colourways from the Morris & Co.|Archive.